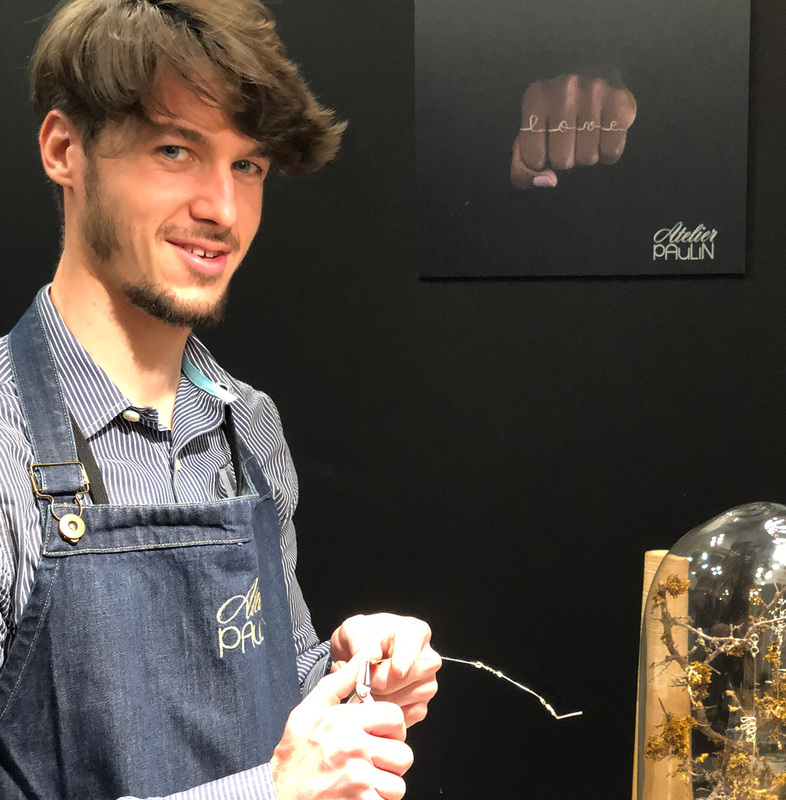 I am Jérémy, I am 29 years old and I am pleased to be the Atelier Paulin representative in the US!! What made you come to jewelry? I discovered Atelier Paulin through the internet. Their story and projects spoke to me. (Then things went naturally, that’s how I started in jewelry.) The first time I made a piece of jewelry, it was so rewarding to produce something that it gave me the desire to continue. Jewelry can be a symbol. We wear them for its aestheticism and signification. I like people who wear jewelries more for the sentimental value than the cost. 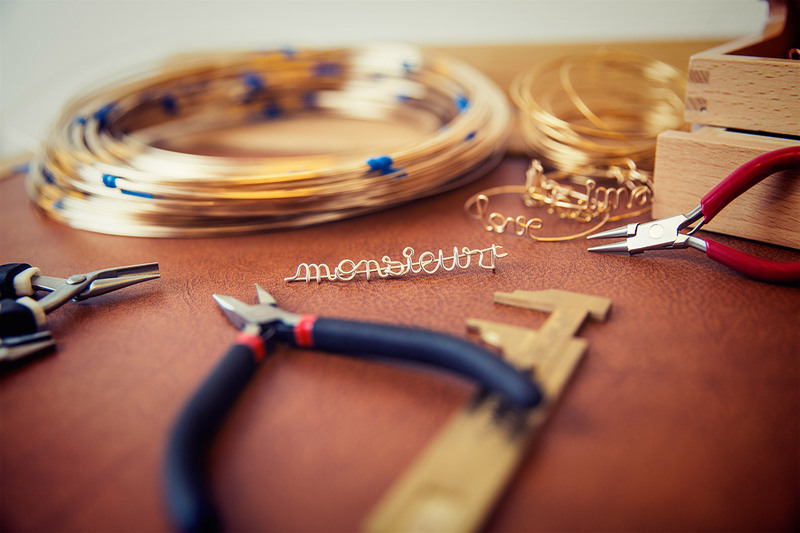 What do you feel when you are making a piece of jewelry? Which is the first quality of a craftsman? The first quality of a craftsman is to be polyvalent, our line gets bigger and we have to control different technics. It’s not only about jewelry conception. It’s really important to be close to our customers, to give the best results. The most important thing to consider for a perfect result? In my opinion it’s the interest you have to doing it. I work on each bracelet as it was for my family or for my best friends. My point is to make our customers happy to wear or offer. Be in touch with your customers is an important part of your job. What do you like the most about it? Them all! cause they came with different stories, emotions they want to share. I really like to be the craftsman of a life part jewelry. Which were your motivations to join the Atelier Paulin team? It as been several motivations. It’s a new company really dynamic with a lot of opportunities, everything is going fast. The quality of our produces, I am proud of our products. The decisive fact is that Atelier Paulin is international, it made the difference for me. What do you like the most in Atelier Paulin? The team cohesion, the human contact and participating at the brand expansion. What’s make Atelier Paulin different of the others brands? It’s a subtle mix between unique personalization and crafting on the spot. According to you what’s made our jewelries unique? The handmade conception, each piece will be really unique. You can choose the word, material, color and size. A name, word, story… any anecdotes? In Geneva, a very nice gentleman asked me a “darth vader” bracelet for him. He came back few weeks after, really happy and ordered a “skywalker” bracelet for his associate. I liked the characters attachment and also the relationship between them. A lovely lady in New York, who came for our first trunkshow there. She was so happy, she asked the store staff to be advise when we will be back. Since then, she came every time with a friend or her daughter. It’s very pleasant! Atelier Paulin in one word? Which words would you chose on our jewelry? To offer, I will choose “Jetaime”, the most powerful classic or “contigo”, for the poetry behind this word. I have a brooch with “cowboy” on it. Besides a personal reason, I equally like the movies characters image we have of them and the real life they had. A life trip close to the nature in huge spaces. First before New York, I worked in Paris, London and Geneva which were really good experiences. I think New York on some points as no comparaison with other cities if the adventure is lived fully, it’s an amazing vibe with a lot of possibilities. Take a trip here is not enough to feel it, you need to live her to understand.